Recently, we began promoting our business by giving away free samples of some our most popular items. The response we received was great! Then again, why wouldn’t it be? In the current marketplace, there are many companies who work so hard at “liberating” the money out of our wallets, so that when an opportunity arises to try a product or service at no cost and without commitment to buy, most of us jump all over it. If you haven’t checked it out yet, go to our Facebook page and sign up for one of our contests. We’re giving away free tasty goodies on a weekly basis, and the next recipient might be YOU! 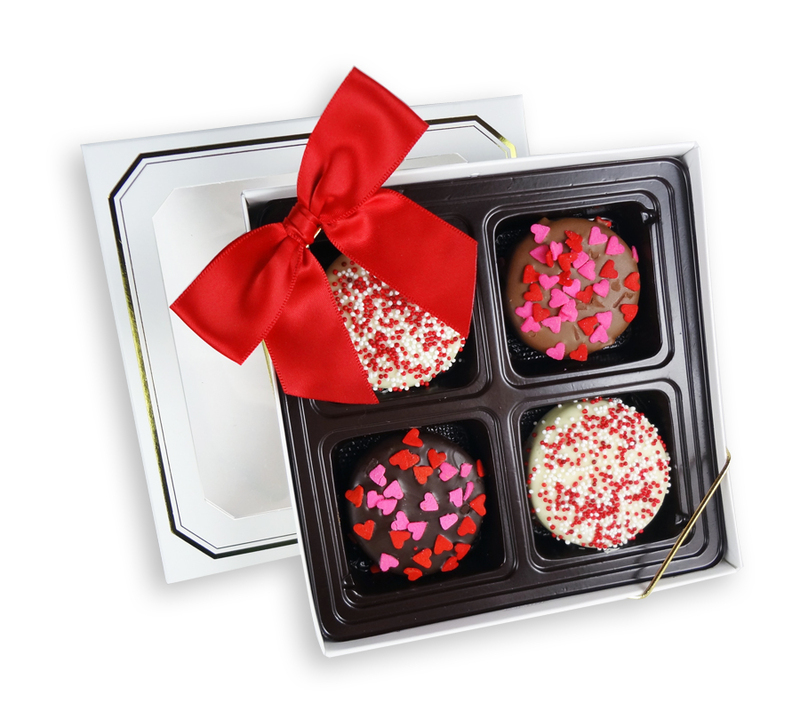 Last week, we gave away 5 Valentine’s Day-themed prizes pictured below: 4 gift boxes of 4 chocolate covered Oreos®, and one grand prize of a gift box of 9 chocolate covered Oreos®. 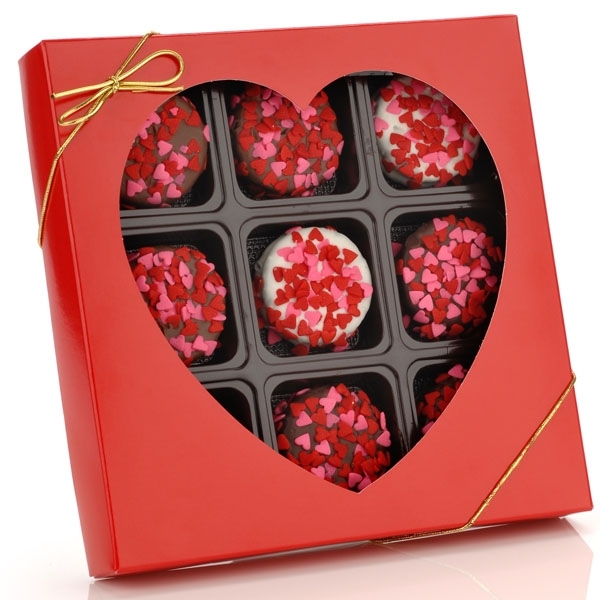 This week, we’re giving away ANOTHER gift box of 9 chocolate covered Oreos® on our Facebook page here. Hurry — this offer is available for a limited time only!